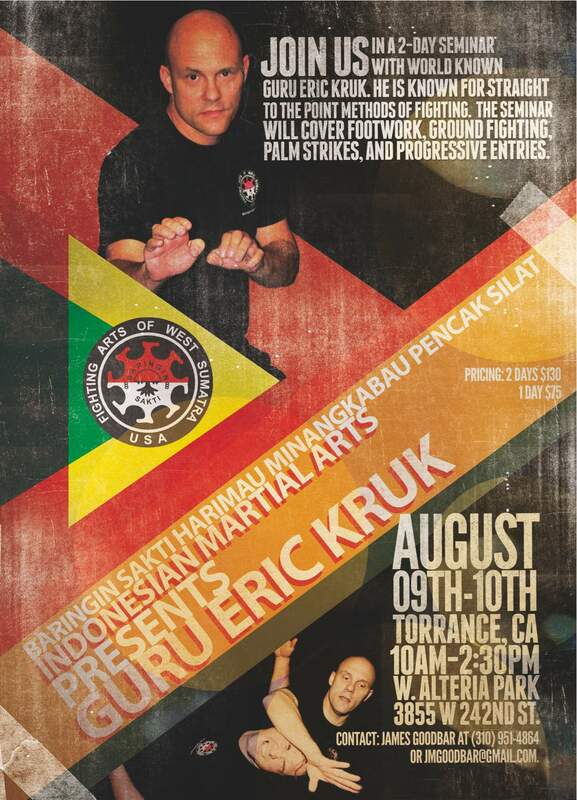 To maintain the integrity of Guru Eric Kruk's teachings, and to ensure an accurate representation of the training, NO video taping will be allowed during any of his seminars. Guru Kruk will arrange to have video taken, and must authorize any use of his video footage for promotional purposes. 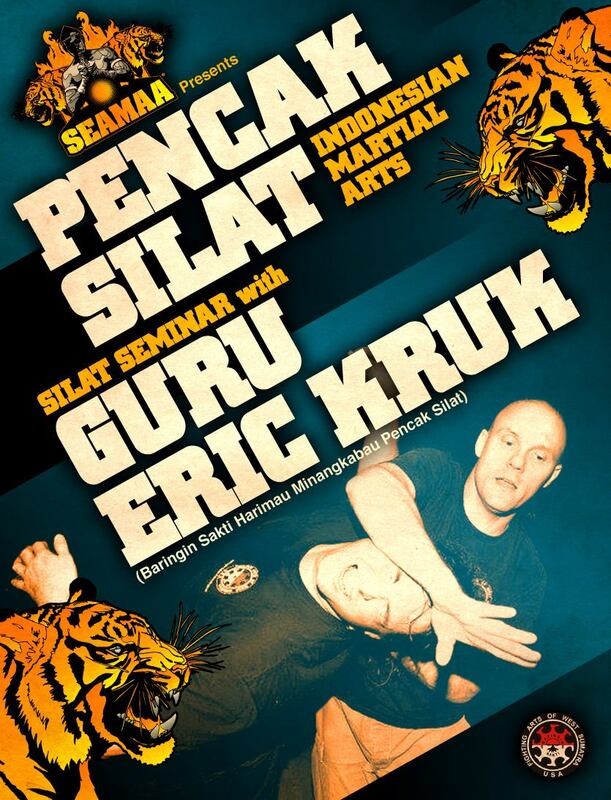 Baringin Sakti Pencak Silat Harimau Minangkabau presents Guru Eric Kruk. Guru Kruk's methods of teaching and fighting of his Harimau System are recognized as being straight-to-the-point and effective for the street. He is known for his fast attacks, ground fighting, and brutal methods of hand to hand combat against his attackers. 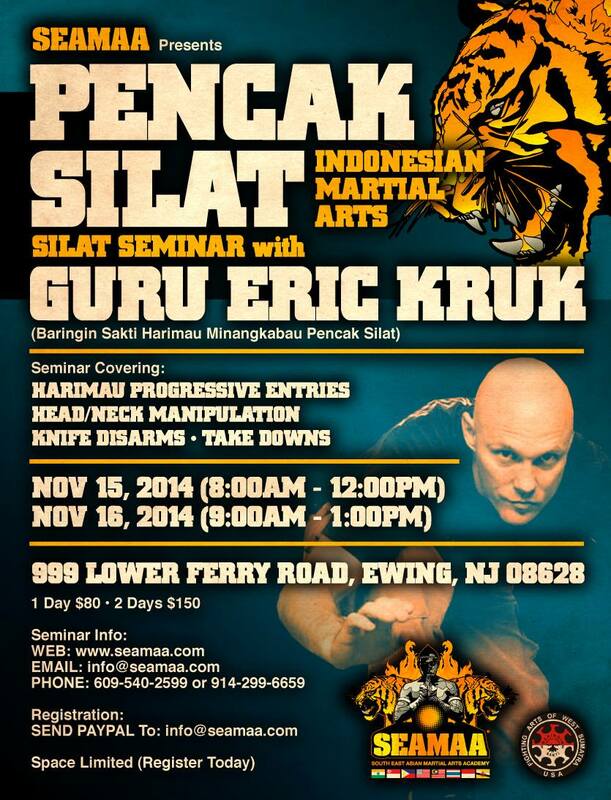 Harimau Minangkabau is considered one of the most combative Pencak Silat Systems of Indonesia. 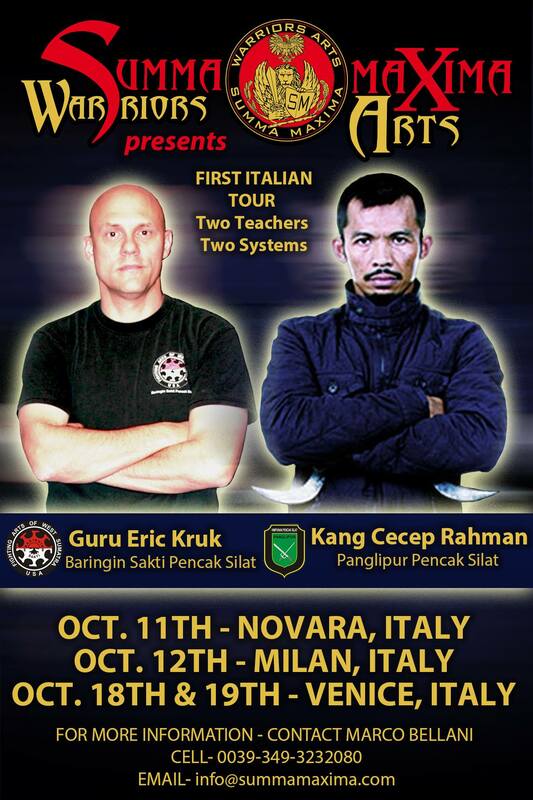 Summa Maxima Warriors Arts presents a European Tour with Guru Eric Kruk of Baringin Sakti Pencak Silat Harimau Minangkabau and Kang Cecep Arief Rahman of Panglipur Pencak Silat.